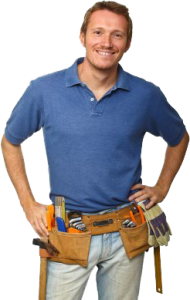 Are you struggling to find Reliable, qualified Plumbing services provider in Marrickville? Your search ends at our door. We provide you holistic plumbing services covering tape water system, gas systems and drainage system to keep your kitchen, toilet, and home in the most hygienic and aesthetic condition. We have more than two decades of experience in providing plumbing services.By repairing your tap ducts, pipes, and sewers, our qualified plumbers can de-clog your drainage system. Apart from plumbing services, we also Repair your leaky roof. We are proficient in drain relining.Rather than overhauling your entire drainage system, we reline your drainage system without obstructing your office or home. We also repair you dripping taps, designer taps, and Water Pipe. Normally Bacteria thrive in premises plumbing systems. But due to high surface-to-volume ratio, intermittent stagnation, low disinfectant residual, and warming cycles, pathogens may grow in faucets, shower heads, water heaters and along pipe walls. Through our superior plumbing services, we eliminate the chances of waterborne diseases in your home and provide safety to your family. Call us on 0416 800 119 for further information regarding our plumbing services. Based on your specific maintenance and emergency plumbing need, we can also provide you emergency 24/7 services.